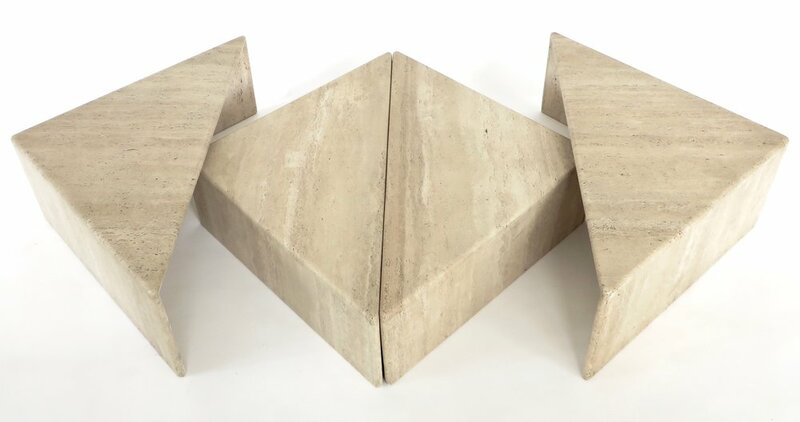 An Italian travertine marble four-part modular multi level travertine coffee table, circa 1970. Each part can be arranged in any formation as sculptural as one wishes or used as a coffee table and side tables. Beautiful honed travertine with various tones of cream. Please inquire for more info for sizing. Size below is for installation was shown.